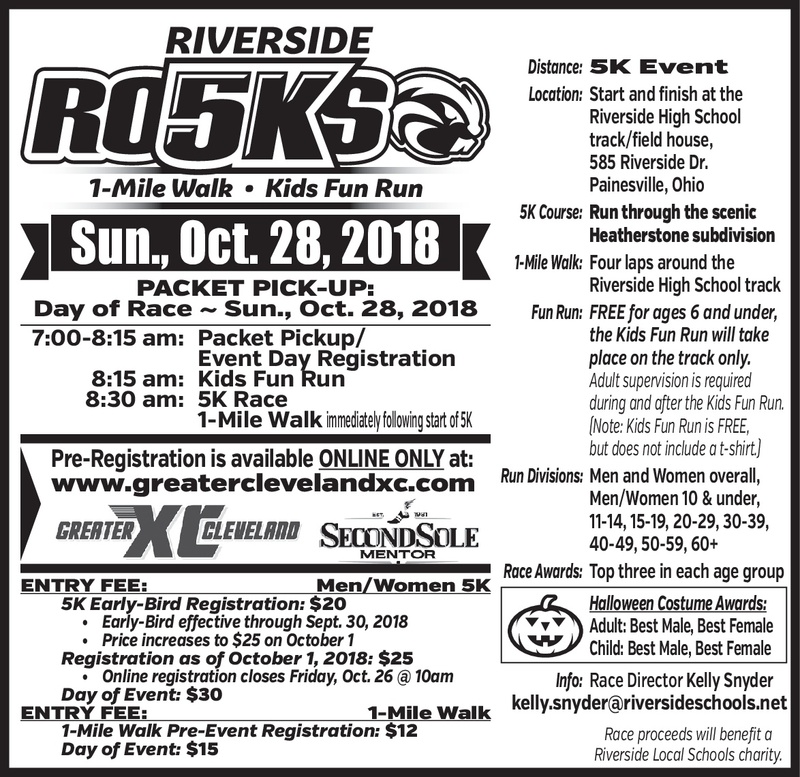 The annual Riverside Rocks 5K will be held at Riverside High School on Sunday, October 28 at 8:30 a.m. The 5K also features a 1-mile walk and a Kids Fun Run. The Kids Fun Run starts at 8:15 a.m.
Pre-registration is available ONLINE ONLY at www.greaterclevelandxc.com. There is an Early-Bird Registration fee of $20 through September 30. On October 1, the registration fee increases to $25. Day of event registration is $30. The 1-Mile Walk pre-event registration is $12 and $15 the day of the event. Proceeds from the event will benefit the construction of the Riverside Veterans Memorial. Interested in being a sponsor, check out our Sponsorship Package.